Cork-based soup brand Cully & Sully launched its product in 730 Tesco stores nationwide. Setup by childhood friends Cullen Allen and Colum O’Sullivan in Cork. All of the soups are made from fresh, natural ingredients, using homemade recipes inspired by Cully’s grandmother, a respected Irish chef and proprietor of the famous Ballymaloe House Hotel. 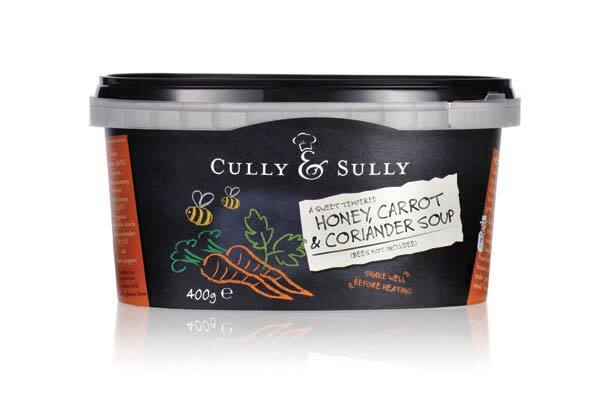 Cully & Sully’s soup range includes positively pea and distinctly minty, vegetable soup, sweet tempered honey, carrot and coriander soup and creamy tomato and basil.With each flavour having the added benefit of being gluten free. Each soup is available in an oval 400g tub with a recommended retail price of £1.50. Cronuts, Crookies and Do-Cros – Fad or the Future?